Like a line from the 1939 film ‘The Wizard of Oz’, Dorothy is heard saying, “There’s no place like home, there’s no place like home”, Grandois was just that during its first ever Come Home Year from July 17-20. This tiny community of 19 permanent residents was able to register 240 and more than 300 participated in the fun filled weekend organized by Peggy McGrath and Josephine Clarke. These two women are incredible organizers and should be commended for making something extraordinary possible in the community that may be small in numbers but exudes spirit, heart and sense of belonging. As I drove the 30 kilometer gravel road of route 438 to reach Grandois – you could feel the energy as the sun was beaming down, banners and flags flying high and campers and traffic scattered in the cove. The community hall was crowded and there were children everywhere. This was a remarkable shift from the usual daily life in this quiet community of just 19. The children were gravitating to the beach, playing upon the rocks, which made for a beautiful photo. It was not the first time people talked about how good it was to have dozens of youth in Grandois again! It was a pleasure to march in the parade through the community with the Clarke’s, Hillier’s, Walker’s, McGrath’s, Sexton’s, Bromley’s, Alyward’s, Whiteway’s and other families that have a connection to the community. The McGrath and Whiteway seemed to have the biggest turnout! Inside the old school house, now community hall was a memorial tree, with photos of those loved ones who passed on. I thought that was a really nice touch, as well the candle lighting with a family representative at the opening. Organizer Josephine addressed the crowd and greetings were brought by myself and a representative from the MP’s office. It was a pleasure to hear special guest, Benjamin Swett, New York Photographer deliver a speech. He first came to Grandois in 1977, where as part of the Quebec Labrador Foundation (QLF), he supervised a summer camp. While in Grandois he took photos of the people and the community way of life. It was a pleasure to buy a copy of his collection that went to print especially for the Come Home Year. We need to do more to document and tell our stories. Raw emotion could be heard when Peggy McGrath took front and centre. She had worked tirelessly to get back to the community and organize a celebration that would be remembered. She talked about her parents, about her children and about being home. It was truly a special moment. Festivities continued with cake cutting, healthy snacks, gifts for the 19 residents, sale of memorabilia and of course some music by Conche’s own Danny Carroll. The next day, I decided to walk some of the trails in beautiful Grandois. I was not disappointed, but the close encounter wit hthe bear could have been left for another day :). The weekend continued with beautiful breakfasts, each family working together to serve up and prepare the meals and easing the burden. There were children’s games, face painting, bingo and lots of music. I thoroughly enjoyed my big turkey dinner and an afternoon of local talent. It’s the little things that truly matter, this Come Home Year focused on community, on family, on this special place. There was a unique place mat design for each day, detailing when picking up the cutlery, themed banners and the amazing photo print quilt of all the old family homesteads, school, church, fish plant and community spaces. The expressions on people’s faces, especially the children, the people who stepped us as volunteers to make everything run so smoothly and of course the exceptional music that lasted long into the nights. The community conversations, the memories and connections made will last a lifetime. They will be told both in Grandois and around the world. This may be the first Come Home Year for Grandois, but surely it will not be the last. This is a remarkable story, a remarkable strength found in a small community of 19 at the end of a gravel road on the Great Northern Peninsula. I always say big things happen in small communities and this weekend was just that! 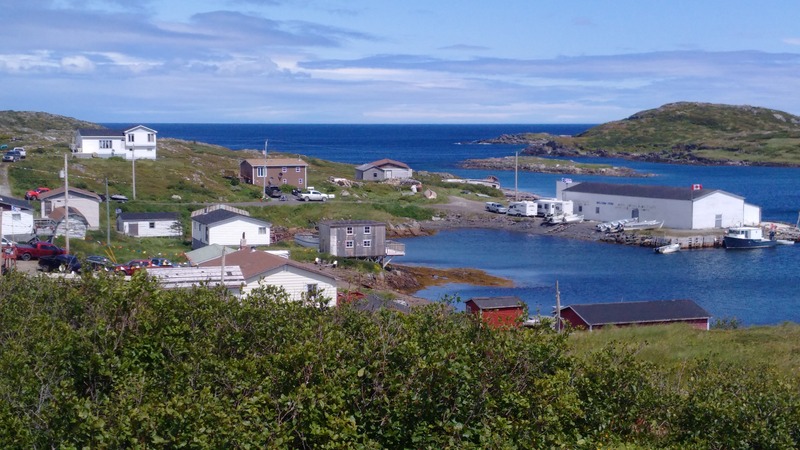 Posted on August 1, 2015, in Community Economic Development, Landscapes/Geography and tagged celebration, come home year, grandois, Great Northern Peninsula, Newfoundland, Rural, st. juliens, Travel and Tourism. Bookmark the permalink. Leave a comment.